Recently, a little game called Grand Theft Auto 5 was released to the tune of making 800 million dollars in 3 days. So in other words, I think we can call it a success. However, you’re talking to one of the few people who didn’t really care about GTA 5′s release and the reason has to do with what kind of gameplay I prefer. 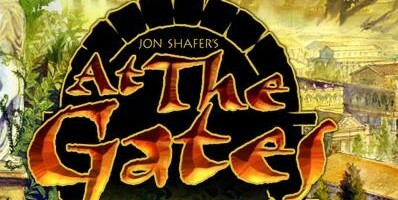 This week on the cast, I welcomed Jon Shafer: owner of Conifer Games and lead designer behind Civilization 5 from his time at Firaxis to the cast for one of our longest podcasts we’ve had in awhile. Last time I spoke about Drox Operative, it was spotlighting the game during the beta. Since then, Soldak Entertainment has been hard at work with patches and the upcoming expansion: Invasion of the Ancients. With the expansion now in beta I felt that this was a perfect time to kill two birds with one stone — Spotlight the changes with the expansion and take a more critical look at Drox Operative overall. In the span of two weeks we have seen the release of two great games, each with a different take on the same genre. So for today’s post, I wanted to examine how each game takes elements of what makes the CCG genre so compelling.